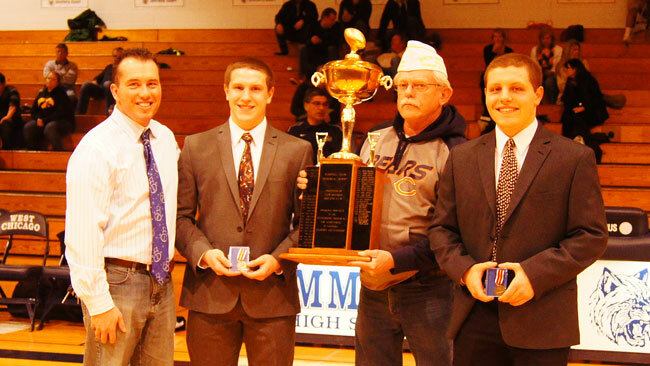 Award Rcognizes Positive Qualities On and Off the Football Turf. West Chicago Community High School seniors Jordan and Colin L. are the recipients of the Randall Jacob Award presented by VFW Post 6791. Football coaches and and team members select the winner. Also in the picture are former head football coach Bill Bicker and VFW Post Commander Steve Benner.